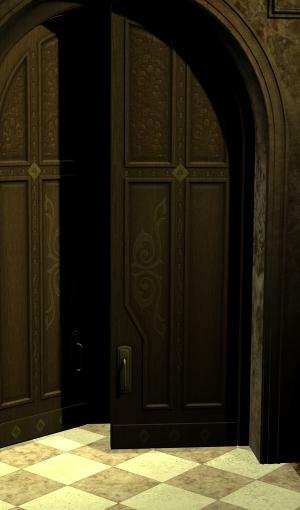 As you step through the door into Sekiri's study, and hesitate, peering into the semi-darkness, you hear a grumpy old voice saying "Well don't just stand there youngster, close the door. You're letting all the heat out." Closing the door, you walk over to two comfortable chairs placed before a fireplace, where a blaze crackles merrily away. One of the chairs contains a distinguished looking old wizard, whom you recognise as Sekiri Thanatos of the Sages of the Unknown Shadow, wearing the black of his order. "Sit, sit" he says, waving you to the other chair "My knees ache just looking at you standing there." "So," he says "You want to be a Wizard?" After you nod, you see Sekiri smile slightly. "Well, Wizardry isn't for everyone, but it can be a rewarding path for those who follow it if they work hard at their studies. A very difficult path true, but rewarding all the same. As I think, er, wossname, once said 'Wizards, The toughest guild. In the beginning, they can't fight, and they can't cast spells very well. They just sit there and fume a lot, feeling bitter. Hell, getting spells means going into the Library, which is a horrible experience if you don't have a map. Ask anyone. However, a high level wizard is one of the toughest people around. This guild is not for those that don't have a lot, and I mean a lot, of patience.'" The smile broadens. "In fact, I'm not entirely sure if Ragnel sent you here for me to give you some guidance, or to give you second thoughts once you find out the challenges ahead. Let's play that one by ear, shall we?" "Now, if you go and grab that first book over there, I'll start by explaining a few of the basics to you." As you look in the direction of Sekiri's waved hand, you see a slightly worn volume sitting on a table in front of five different sets of shelves. "That first set of shelves there contains some references for your student studies, and I will take you through them after we cover this first lesson." "The others shelves relate to your graduate studies, some references on our common spells, and some tomes relating to post-graduate matters respectfully. The last is some other material I never seem to get around to throwing out that you are free to puruse." You return to the armchair with the book as Sekiri finishes speaking. "Please feel free to drop in at any point in your studies to refer to any of those books, or for some more of whatever guidance you can decipher from my rambling. I'm usually in here napping. Oh, and if I happen to start thinking I'm a palm tree while I'm here, please do me a favour and give me my pills." He points at an extremly large container of dried frog pills sitting prominently on a desk. "If you have to leave at some point, I assume even a student wizard can find the door he entered by. Now, where were we?" He seems to be struggling to remember, and you raise the book slightly. "Ah yes, the basics. Well ..." You pay attention to what he is saying as he continues, in case any of it may be useful.